Leading cafe and fast food chains in Britain are serving hot drinks loaded with staggering amounts of sugar, a new survey has found. Results of the survey, conducted by British charity organisation Action on Sugar and released on Wednesday (Feb 17), said that 98 per cent of the 131 hot flavoured drinks analysed would receive a "red" warning label for containing excessive sugar. More than a third of the drinks were also said to have the same amount of sugar or more than a can of Coca-Cola, which contains 9 teaspoons of sugar. 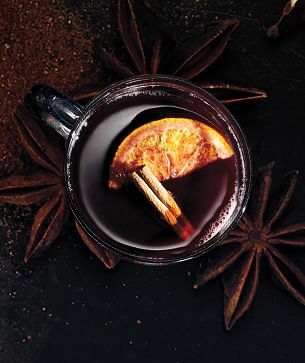 The worst culprit was a large (venti) cup of Starbuck's Hot Mulled Fruit - grape with chai, orange and cinnamon - that was found to contain 25 teaspoons of sugar. A large chai latte from Costa Coffee, another well-known cafe chain, contained 20 teaspoons of sugar. Hot drinks from fast food chains McDonald's and KFC were also included in the study. Two other drinks from Starbucks featured prominently on the list. Its white chocolate mocha with whipped cream and its signature hot chocolate - both are sold in Singapore - contained 18 and 15 teaspoons of sugar respectively. The American coffee company was singled out for criticism as its serving sizes "are much larger than those offered by its competitors". In its response to the Guardian, Starbucks said it was committed to reducing added sugar in its indulgent drinks by a quarter by the end of 2020, and that "all nutritional information is available in-store and online". Action on Sugar's chairman, Professor Graham MacGregor, said: "This is yet again another example of scandalous amount of sugar added to our food and drink. "No wonder we have the highest rates of obesity in Europe." Prof MacGregor also called on British Prime Minister David Cameron to set up an independent agency for nutrition not controlled by the food industry. The agency will be responsible for advocating a 50 per cent reduction in sugar and 20 per cent in fat in all unhealthy drinks and foods within five years, Action on Sugar said. For the full results of the study, visit Action on Sugar's website.